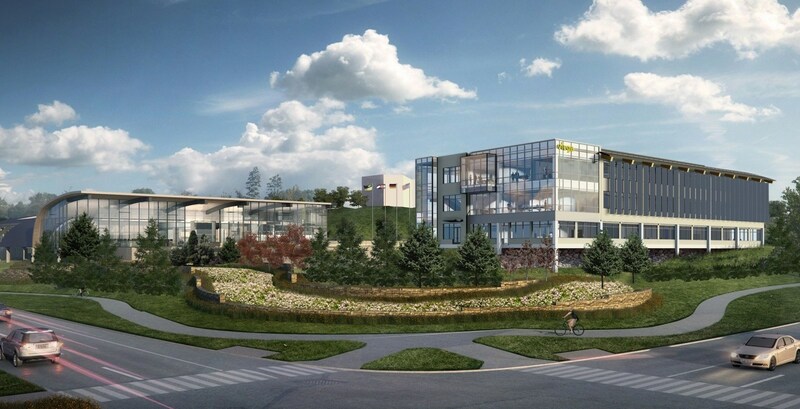 An architectural rendering shows Viega LLC’s U.S. headquarters and training facility buildings being constructed in the Interlocken business park in Broomfield. Courtesy Viega LLC. A full-court press by local, metro and state economic development organizations apparently left Wichita, Kan., in the dust when it came to securing the U.S. headquarters of Viega LLC, a Germany-based manufacturer of innovative plumbing supplies. “We’d been working on the project for about one year,” said Bo Martinez, the director of Broomfield Economic Development. Martinez explained that the lead on the potential Viega move came from a national corporate site selector, which went to the Colorado Economic Development Commission and then to the Metro Denver Economic Development Corporation. The Metro Denver EDC put together a request for information for municipalities, which led Broomfield to respond and ultimately secure the new headquarters and training center. The Wichita Eagle questioned why the headquarters was moved less than a decade after locating in Kansas, and less than two years after moving its headquarters to a new office in Wichita. A call by BizWest to Wichita’s economic development agency about whether any incentives were offered there went unanswered. But having a coordinated effort probably didn’t hurt Broomfield in ultimately securing the 200 employees that Viega will house in the new 60,000-square-foot headquarters. In January, the Colorado EDC also approved Viega for $223,380 in incentives for the 20 jobs the new product training center will bring to Broomfield. While the Metro EDC does not have funds to contribute, it definitely plays a role getting out information to Colorado municipalities in regards to what the company is looking for in terms of acreage, price, access to transportation, general location and potential incentives, Martinez said. The Broomfield City Council approved incentives providing Viega with a 50 percent rebate of the city and county’s business personal property tax — office furnishing, computers, etc. — that will save the company about $100,00 over the agreed-upon 10-year terms. Viega’s new headquarters also qualify for a real property tax rebate of up to $353,000 over that 10-year period. According to information in the Eagle, company officials said all the existing headquarter employees in Wichita were offered jobs here. Company officials also said manufacturing facilities would remain in McPherson, Kan., which supports about 200 employees. The company estimated that the salaries at the headquarters would average about $85,000 each annually. While plumbing supplies may seem like a decidedly low-tech manufacturing proposition, the Viega products are actually fairly new. Instead of soldering or threading pipes together, the pipes are made to be fitted and secured using only a round clamp or vice. The technology works on copper stainless steel and black iron pipes, as well as PEX tubing — according to Rachel Kerstetter, Viega’s PR agent from Sonnhalter of Cleveland, Ohio — which can halve installation and repair times. Martinez said the the training center, which supports both North and South America, may be the jewel in the deal, bringing people from across the Western Hemisphere to Broomfield.